Which 2019 prospects are Pitino and the Gophers watching in July? 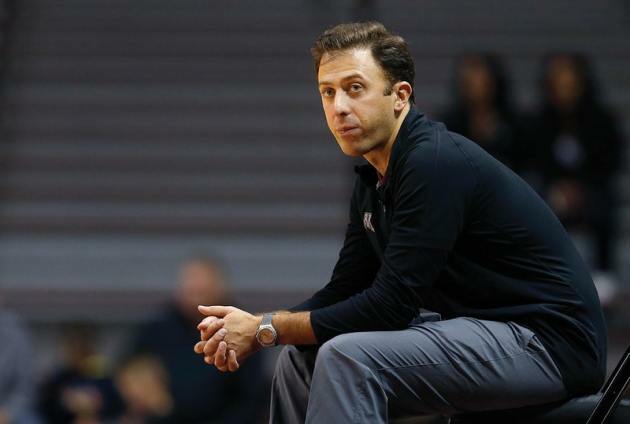 To solve the mystery of the Gophers 2019 recruiting class, you have to dig into the history of the two new assistants hired by Richard Pitino this spring. Some relationships Minnesota’s program built with several prospects were lost when Ben Johnson and Kimani Young departed, but new targets also emerged after Rob Jeter and Kyle Lindsted were hired to fill Pitino’s staff in April. At the top of Minnesota's 2019 recruiting board, Rochester John Masrhall star Matthew Hurt has always been there, but many of the other targets on the list were prospects followed by Jeter and Lindsted at their previous jobs. The Gophers enter this July evaluation period Wednesday with potentially four scholarships for the 2019 class. With zero commitments so far, the next few weeks are critical to establishing official visits and filling those spots this fall. Recently transferred from Southfield Christian (Mich.) to Montverde Academy (Fla.), which boasts alumni such as Joel Embiid, Ben Simmons, D’Angelo Russell and most recently R.J. Barrett. Beverly’s recruiting took off in the spring after he received a scholarship offer from Minnesota, which included offers from traditional Big Ten powers Michigan State, Ohio State and Michigan. Tom Izzo reportedly has the inside track. Gophers assistant Rob Jeter has connections in the state of Michigan. The former Wisconsin-Milwaukee coach will also return to his old stomping grounds to watch Beverly in the NY2LA Next Level Invitational this week in Wisconsin. Crowley said he was offered a scholarship by Pitino on Wednesday, and this 247Sports.com story reported recent interest from the Gophers. They will continue keeping tabs on him during the evaluation period, especially with Gophers assistant Kyle Lindsted. The former Wichita State assistant coach is the head recruiter on several Sunrise Christian players since he was the former director/head coach for the program in Wichita before joining Greg Marshall’s staff with the Shockers. Crowley’s Woodz Elite squad will be playing in the Nike Peach Jam in North Augusta, S.C. this week. Freeman’s name emerged after he picked up a U offer after an impressive showing at the Gophers Team Camp last month at Athletes Village on campus. Although raw offensively, the Texas native is an above-the-rim athlete with high-major rebounding and shot-blocking talent. Not playing for a shoe company sponsored AAU team has limited his exposure to mostly mid-majors, but his list could expand with more eyes on him in July. Freeman said Minnesota will watch him play in his next tournament during the evaluation period. Hall’s one of several prospects being recruited at Sunrise Christian by the Gophers – and he’s arguably the best of the bunch. If Lindsted and Pitino were able to convince him to visit the U that would be a big deal, but it’s unlikely since he hasn’t mentioned Minnesota much lately. The Big Ten school that is recruiting him the hardest appears to be Purdue since he’s the Boilermakers’ No. 1 target in 2019. He’s also taken a few unofficial visits there. Kansas offered Hall, but the Jayhawks haven’t made him a priority yet. He might attract even more attention with a big performance at the Nike Peach Jam with MoKan Elite this week. He’s averaging 14.5 points and 4.7 rebounds in the EYBL this year. Hill came into the picture when Jeter was hired after working on UNLV’s staff last season. He’s become one of the hottest prospects on the West Coast, but Jeter was one of the first college assistants to build a relationship with him. He recruited Hill with the Rebels during his sophomore year at Clark High School in Vegas. Whether that’s enough to turn into an official visit to Minnesota remains to be seen, but Hill is familiar with the Gophers after talking to Pitino in the spring. He’ll play this week for the Las Vegas Prospects in the Peach Invitational tournament in Augusta, which features EYBL teams that didn’t qualify for Peach Jam. The first recruit Pitino pursued heavily in the 2019 class was Hurt, who has always been the No. 1 target for the Gophers, especially with his older brother, Michael, in the program the last two years. Nobody was shocked to bump into blue-blood coaches like Roy Williams, Bill Self, Coach K and Coach Cal in Rochester. Why wouldn’t they want to check out one of the best high school players to ever play in Minnesota? Gophers fans, fair or not, will likely judge Pitino’s 2019 class on whether Hurt decides to stay home. As long as Pitino wins and Hurt’s brother is having a great experience at the U, Gopher faithful can dream of him staying home. You can bet Minnesota’s staff will follow his D1 Minnesota AAU program (also featuring 2019 target Zeke Nnaji and 2020 targets Ben Carlson and Dawson Garcia) throughout the July evaluation period, starting this week at the Adidas Gauntlet Finale in New York. When it comes to targets that fit exactly what the Gophers need in the frontcourt in the Big Ten, Jackson could fill that role with the athleticism and toughness to compete at the next level. Oklahoma was the favorite to land the Detroit native, but he kept his recruitment open after taking an official visit to the Sooners in June. A 247Sports.com report recently mentioned Xavier and Minnesota possibly in line for visits from Jackson after the July evaluation period. Lindsted’s presence definitely keeps Sunrise Christian Academy kids on the radar, but Jackson so far is the only one that could make a trip to the Twin Cities this fall. Jones isn’t among the four 2019 players on D1 Minnesota’s roster with Gopher offers, but that could change if he continues to improve and other targets no longer become options. Jones already has Penn State and Xavier offers from major conferences, but Stanford and Vanderbilt are definitely watching him in July. The 6-10 Jones projects now as a rim protector, but his shooting touch has come a long way in the last year. One of his AAU coaches called Jones a potential mix between Reggie Lynch and Eric Curry, comparing him to past and present Gopher big men. Playing in the same frontcourt as 6-10 four-star 2020 forward Dawson Garcia caused him to be overshadowed at times in high school. Still, Jones is likely to get an opportunity to prove himself in front of college coaches watching one of the top AAU teams in the country this month, especially since fellow seniors Tyler Wahl (Wisconsin) and Tyrell Terry (Stanford) already committed. Being undersized never stopped McGriff from becoming one of the top point guards in Maryland by his sophomore year. Arguably the most gifted ball-handler in the 2019 class, McGriff credited Jeter for being the top recruiter for him at UNLV. That led to the Gophers offering him once Jeter left. Some fans might think he’s too small for the Big Ten. Yet the Big Ten’s top guard last season was Purdue’s 5-10 dynamo Carsen Edwards. McGriff’s not as powerfully built as Edwards, but the playmaking ability is there to make possibly make an impact somewhere at the Power Five level. Few players from Minnesota in recent memory saw their stock rise as quickly as Nnaji from his high school season to early summer. Physically, he sprouted to close to 7-foot tall in the last year, but he is also showcasing the skills, athleticism and mobility to make coaches salivate at how he will look as a college freshman. Iowa and Wisconsin offered before the home state program. Time will tell if that hurt Pitino. But it certainly helps that Nnaji talks with current Gopher Amir Coffey, a fellow Hopkins product. Arizona, UCLA and Ohio State are among his growing list of offers. After injuring his Achilles' tendon during the U17 World Cup team training camp (with 2020 star Jalen Suggs) last month, Nnaji is healthy again and ready to see his recruitment continue to blow up. There’s no better name among Gophers targets than Mark “Rocket” Watts from Detroit. The 6-3 senior earned his nickname with an explosive game that made him the No. 1 player in Michigan in his class last season. Jeter has been following him since before joining Pitino’s staff, so Watts was once considering a visit to Minnesota. Is that still on the table? The Gophers are fighting a tough battle with the Spartans, Wolverines and others. He’s playing with the Family in the Peach Invitational this week. Wright is definitely an under-the-radar guy compared to the other Gophers backcourt targets. He might not be the first to get talked about, but his size makes him intriguing. Wright didn’t shoot well from three-point range (22 percent) in EYBL regular season play. But he put up decent numbers (9.4 ppg and 4.5 rpg) for Nike Pro Skills, which is competing in the Peach Jam. Gophers assistant Ed Conroy will watch Wright and others play in Augusta this week.